Back in the harness…hot and tired after preparing food for 1700 + young’uns at Oak Grove Elementary. The heat also means an abundance of produce, perfect for quick meals. What follows are some links to recipes which take advantage of the fresh veggies and are easy for us tired oldies ready to put our feet up with a cold one. 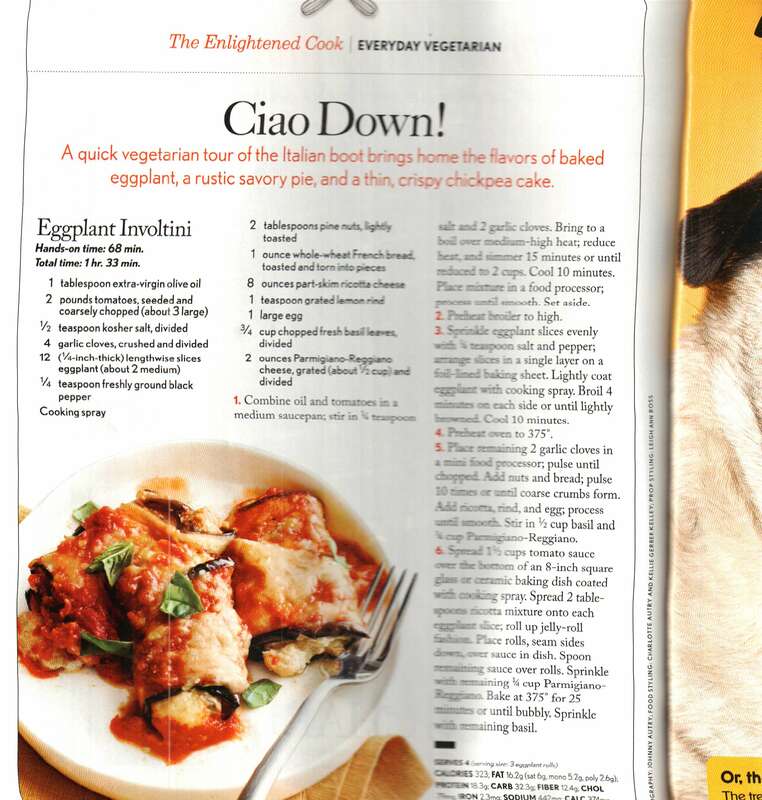 Eggplant Involtini is from Cooking Light. 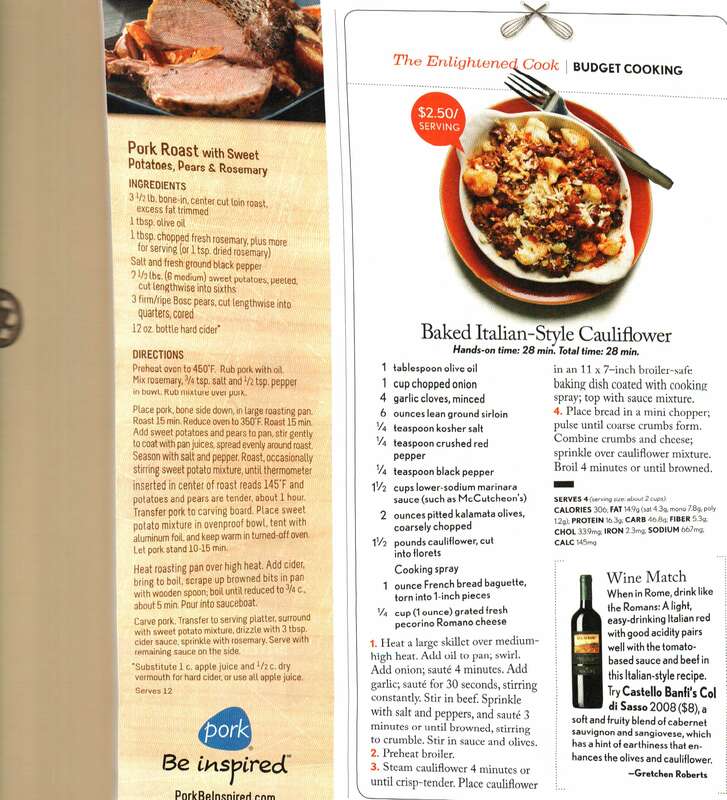 The cauliflower recipe also is from Cooking Light. I did the final cooking in the microwave instead of the oven. The cauliflower wasn’t as browned as it would be from the oven, but it still had good flavor. These two recipes come from Women’s Day. 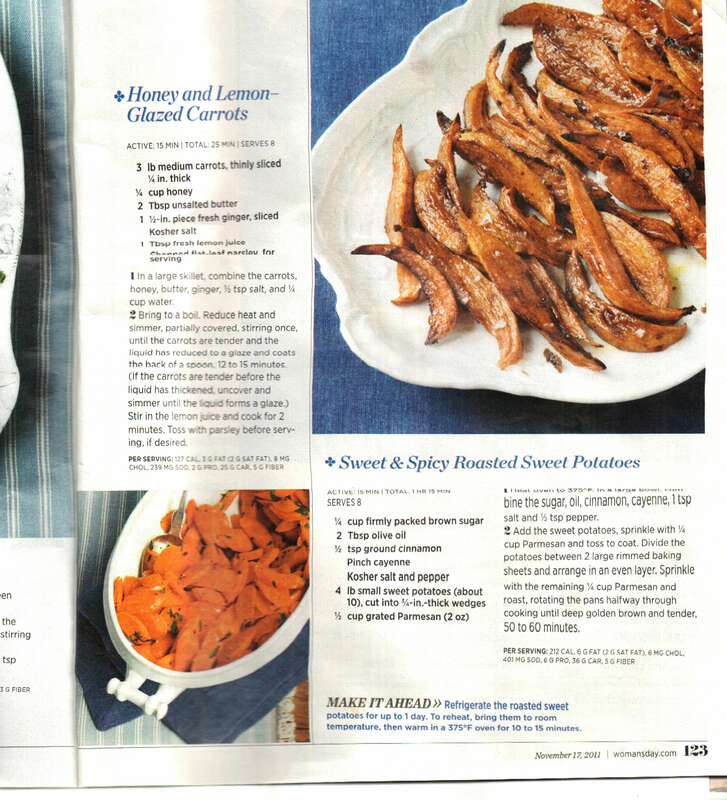 The sweet potatoes can be cooked on the grill and pair well with grilled pork chops and chicken.